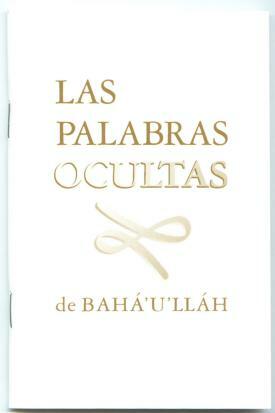 The essence of all revealed truth lies ready for your exploration in the Hidden Words of Baha’u’llah. What better way to follow the Universal House of Justice’s call to teach using the Creative Word than to give away a book that unveils the beauty of the Faith in a language reminiscent of the Psalms and the Beatitudes? This Spanish edition is a fraction of the cost of the others available, (you can get five for the price of one standard edition) yet it is beautifully formatted with easy-to-read type. These make an affordable gift to leave with Spanish-speaking seekers during home visits and teaching activities.